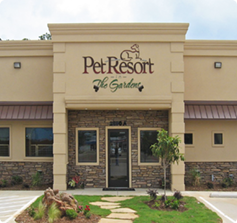 Pet Resort in the Gardens offers Pet Boarding, Dog Daycare and Dog Bathing services. Our close association with the on-site Farrell Animal Hospital lends us expert medical & wellness services and veterinary supervision. Our overnight guests enjoy first-rate lodging services. Our rooms have elevated bedding and natural daylight, and are arranged for a quieter, more peaceful stay. Spoil your pet with one of our enrichment activity packages. 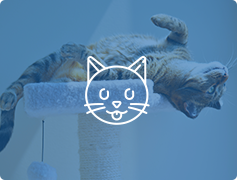 We offer premium feline-friendly lodging for our cat guests. We understand that every cat is unique, and Kitty City was designed to suit every visitor. Cats of all breeds, ages, and personalities feel right at home with us. At Pet Resort in the Gardens, we know the bond you have with your dog is special. That bond thrives with communication, understanding and obedience. 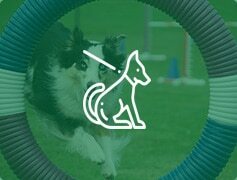 We design our customized training programs to help you overcome your training challenges and enjoy your dog more than ever before. 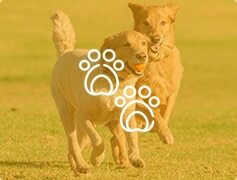 Our indoor/outdoor daycare ensures safe & stimulating play for happy, healthy dogs. 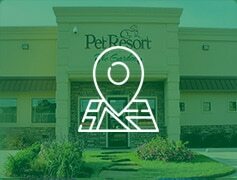 Pet Resort in the Gardens has 9 outdoor yards on more than an acre of beautiful land, providing lots of room for fully-supervised fun. 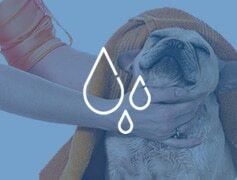 Enjoy a comprehensive grooming experience from a basic bath to a total pampering session. 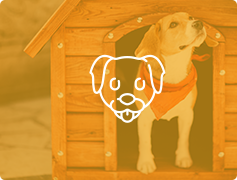 Our experienced groomers can consult with you to plan an individualized styling that you and your dog will both love. Dr. Jim Turner, DVM and his wife Mary purchased Farrell Animal Hospital in in 1990. 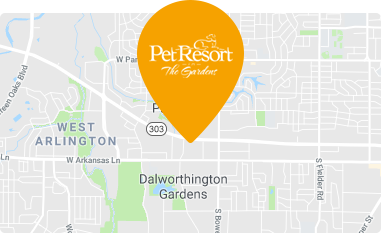 They shared the dream of improving the way pet boarding was historically handled, and Pet Resort in the Gardens is that dream come true... .
Pet Resort in the Garden is the premier pet resort facility right in the middle of the metroplex. We're conveniently located in Arlington, TX at 2890-A Pioneer Parkway. Give us a call to schedule a reservation or to learn more about us. 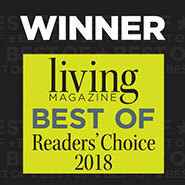 We look forward to serving you and your pet!